Save on Volkswagen service, parts, accessories, and even repairs with OEM specials at Volkswagen La Crosse. In addition to the fantastic event promotions below, our dealership offers a number of coupons for your benefit. You are sure to find the perfect service related discount for you and your VW. 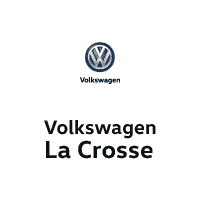 We regularly provide peace of mind for Volkswagen service customers from throughout the La Crosse area and beyond. Bring your car or SUV in to see our team today! 8Must present offer at time of write-up. Offer valid on 000-915-105-DE, 000-915-105-DG batteries only. Offer cannot be used on Touareg, Phaeton, Jetta Hybrid, 6-cylinder EOS, and 6-cylinder CC models. Discount applied before taxes. May not be combined with other offers. Limit one per customer. Not redeemable for advertised specials, previous purchases, or cash. Offer expires 06.30.19. Valid at a participating Volkswagen dealership only. See participating dealer for complete details. 9For purchases on / after 01.01.15, Genuine VW Batteries carry a 5-year parts and labor replacement limited warranty. Restrictions apply. See dealer for complete details.